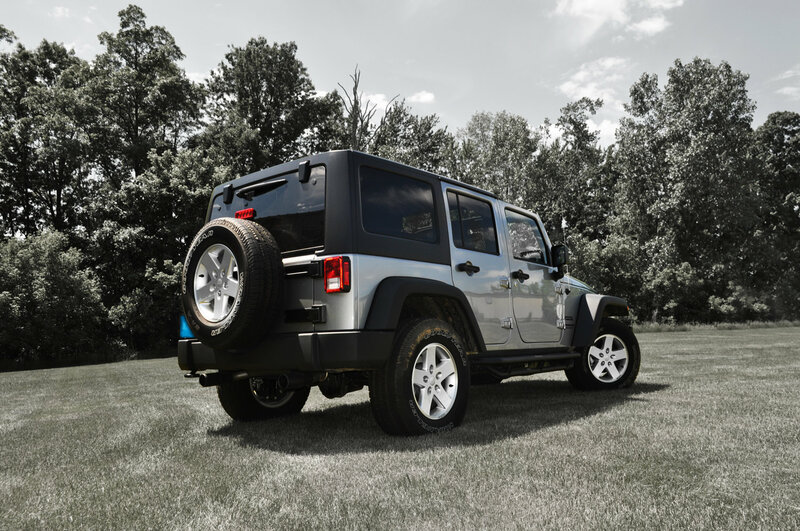 The Volant Performance Axle Back exhaust system with PVD Black Tips for the Jeep JK is made from premium, heavy gauge stainless steel to deliver lasting performance on or off-road. 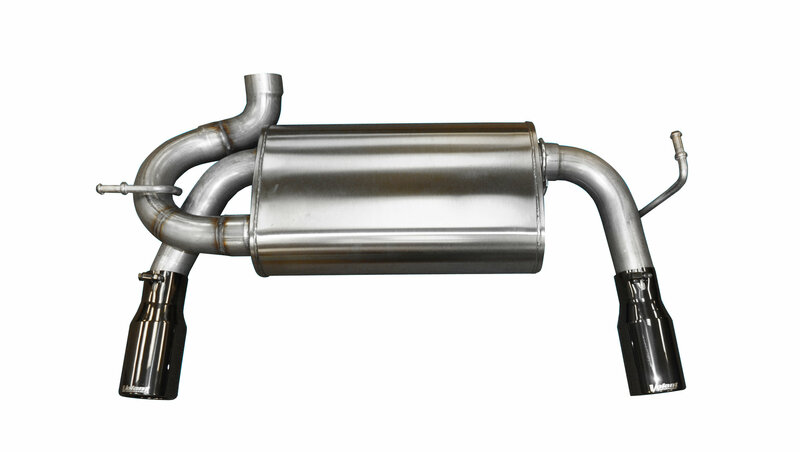 Designed with a full-throttle muffler design, Volant exhaust systems are mandrel bent to eliminate restrictions and straight-through to maximize the airflow and performance capabilities of your vehicle. Using cutting-edge manufacturing techniques and engineering, Volant exhaust systems are acoustically balanced to deliver a head turning aggressive exhaust note with little to no drone. Every Volant exhaust system goes through in-field testing to ensure it can live up to its Limited Lifetime Warranty, regardless of the environment. Volant Exhaust systems are proudly made in the USA. Physical Vapor Deposition (PVD) Technology is a vacuum coating process of vaporizing a solid metal to a plasma of atoms. This vapor is deposited as a high performance reflective coating to create the unique black stainless steel tips. This deep, brilliant, reflective, finish requires less maintenance, won't chip, flake, or peel and further resists corrosion.